The New York Times Magazine published a fascinating article concerning efforts by school board members in Texas to integrate conservative values into the school curriculum. Among other things, the activists hope to include intelligent design and history/social studies content that celebrates the rise of the religious right—pushing students to learn about the accomplishments of Pat Robertson (founder of the Christian Coalition), his protégé, Ralph Reed, Newt Gingrich, William F. Buckley Jr., and Billy Graham, as well as about organizations such as the National Rifle Association, the Heritage Foundation, the Moral Majority, and the "Contract with America" that ushered in a Republican congress in 1994. One of the leaders of the effort to promote this agenda in the schools, Don McLeroy, proudly states that he is a "Christian fundamentalist" and "a young-earth creationist who believes that the earth was created in six days, as the book of Genesis has it, less than 10,000 years ago." All of this is now fairly old hat in the United States, one of the only countries in the world where a substantial percentage of the population believes in creationism and feels that evolution is a lie. What is interesting, especially from the perspective of nationalism studies, is the reading of American history that McLeroy and his supporters put forward. "For McLeroy, separation of church and state is a myth perpetuated by secular liberals," notes the article. His narrative holds that the Founding Fathers were anxious to create a Christian republic. "Many of us recognize that Judeo-Christian principles were the basis of our country and that many of our founding documents had a basis in Scripture. As we try to promote a better understanding of the Constitution, federalism, the separation of the branches of government, the basic rights guaranteed by the Bill of Rights, I think it will become evident to students that the founders had a religious motivation," he says. Of course, many prominent eighteenth century Americans were influenced by religious ideas—those of Deism. Thomas Jefferson, Benjamin Franklin, James Madison, John Adams, and others, all steeped in Enlightenment thought, were Deists. This religion does have some overlap with Judeo-Christian thought, as it does with all major world religions, in the sense that there is a god (the "divine watchmaker"), we should all adhere to a common system of morality that forbids murder, theft, and other crimes which might lead to the breakdown of society, and there is life after death because our ideas live on long after our bodies are gone. 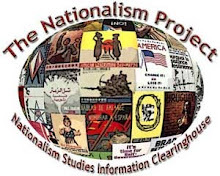 As noted elsewhere on this blog, national identity is defined by an ongoing dialogue about the nature of national membership. Put another way, McLeroy and his supporters are actively engaged in a process whereby Americans debate and discuss who they think they are. That many liberals respond in horror to the Texan's claims is simply part of the process. Ultimately, the give and take, no matter how heated, reaffirms collective membership in the community, however that membership is imagined. At the same time, McLeroy is involved in a process of attempting to create traditions in much the same way that nineteenth century nationalists endeavored to construct festivals and/or common cultural markers that would prompt people to imagine a common identity. Just as education was essential to the nineteenth century nationalization of the masses, so too education is vital to efforts by those who want their version of the nation to attain dominance. It is no accident that Ralph Reed once noted that he would far prefer to control school boards than the White House. Yet there is something else at play here as well: a xenophobic nativist ideology that substitutes a racial litmus test for true Americanism with a religious one. Advocates of immigration restriction in the 1920s looked to the 1790 census in seeking to establish national origins quotas favorable to persons of English descent in order to limit recent immigration which came largely from southern and eastern Europe. Activists focused their attention on the American Revolution, defining "American" in terms of who was or was not present in the country at the time of the Revolution (obviously ignoring people of African descent). Undeniably, religion played a role too, because the undesirable "races" tended to be Catholic and Jewish, while the "real Americans" of 1790 were overwhelmingly Protestant. Nevertheless, which races were present at the nation's founding was the primary focus of the restrictionists. This new brand of nativist ideology put forward by McLeroy is simply the latest incarnation of a long-term tendency to look to the era of the American Revolution when defining what is or is not really American. Whereas American nativists in the early twentieth century looked to the period of the Revolution to define which races were most American, in the early twenty-first century we see American nativists evoking the Revolutionary era to claim that Christianity defines American identity.